For the last quarter of 2016, I was actively looking for blogging communities on Facebook that are located around Denver. And fortunately, I found Denver Bloggers Club! The club is organized by Jenny, owner Good For You Gluten Free blog and monthly events are provided to members in which they can learn things about certain topics as well as enjoy good food and freebies. 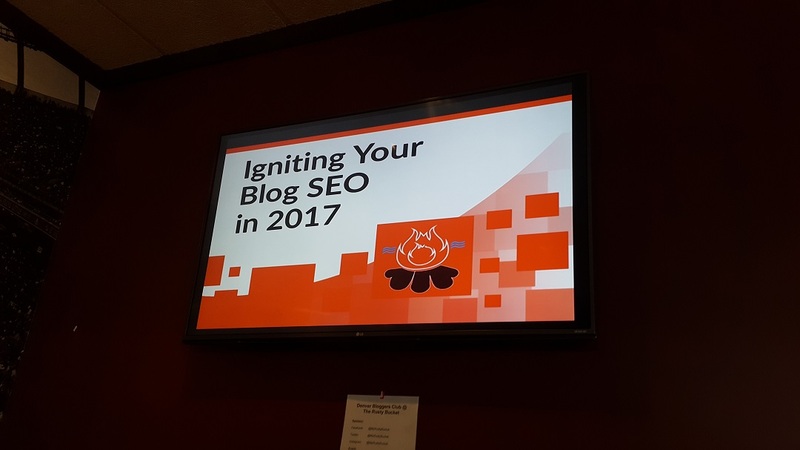 Just last month, I got be part of their SEO tutorial event entitled "Igniting Your Blog SEO in 2017". Twenty Denver bloggers attended the event and it was nice to meet them that day! We had fun learning some techniques from Chuck and Andrew of Market Element as they discuss how SEO as an important part of blogging behaves now in 2017 and what we can tweak in our blogs to improve our ranking and traffic. They even provided as a copy of their presentation few days after the event. The meetup was at Rusty Bucket Restaurant and Tavern in Westminster, CO (will publish a blog post about them soon!) and they provided us with delicious food throughout the event. I will definitely visit them again and order the yummy shrimp in the bucket! All in all, I was happy I joined the Denver Bloggers Club and attended the meetup! Jenny is very friendly and accommodating as well and made me feel very welcome in the group and I am looking forward to the next event that is already lined up for the club. I also would like to express my gratitude to the generous sponsors Rusty Bucket and The Market Element! Thank you for taking good care of us bloggers that day. So, If you are also a blogger residing in Denver and interested to be part of the group, feel free to contact Jenny (or you can also reach out to me) and we will be happy to see you in the next meetup. Have a great day!